Lately, I've seen a lot of Pins with two feature fingers that aren't the same so this week, I thought I'd try it out myself. Spoiler Alert: It turned out awesome! Ha! To start, I did two coats of Gumdrop on every finger but my pointer. 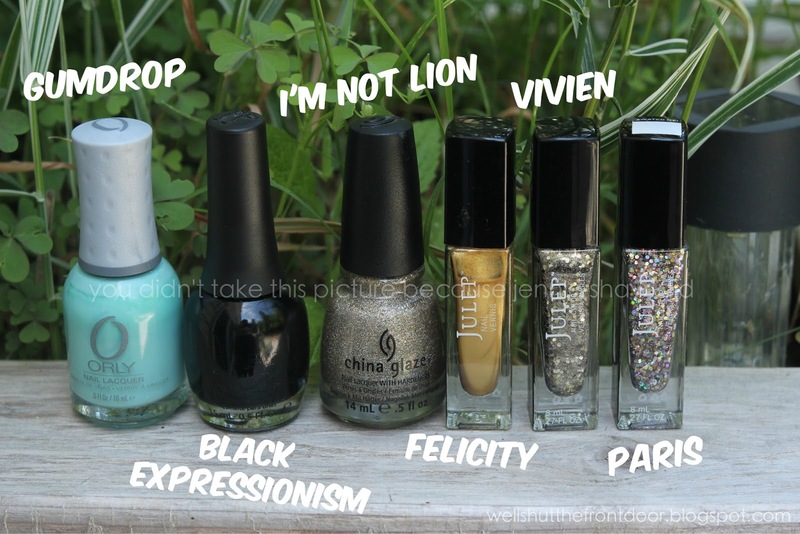 With a medium dotting tool, I did some random spots with Felicity and then layered I'm Not Lion overtop. When they were dry, I added the black outline with a small dotting tool. For the pointer finger, I did one coat of Felicity, one coat of Vivien, and then one coat of Paris. If you're not into the leopard spots, I think that this mani would totally still work if you just repeated the glitter feature as the teal and gold combo just screams sassy summer nights. Ha! Can't wait to see what you're all rocking! Creative and lovely, per usual! *bangs gong* lol love it! I REALLY REALLY like this color combo Jennie! I've never seen Gumdrop before but I'm in love with it! I love all the layers of different glitter you did for the pointer finger too. I love this color combo! So so so much!!! :-) I need to try to recreate this! These are so pretty. I'd never thought of doing two different accent nails. Cool idea. The colors are pretty! I love leopard print. I'm sure if I tried it, it wouldn't look that good. 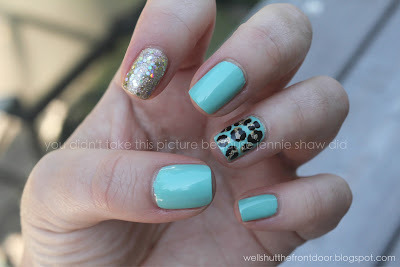 I absolutely love leopard print nails! These look great! This is super cute! I love anything animal print! Your nails are gorgeous! I love the nails:) Thanks for hosting the link up too. Enjoy your evening! 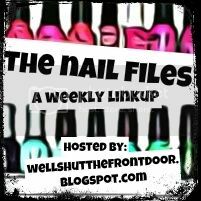 The Nail Files: Oui, Oui, Kiwi!